The Kitbag is the place for Reviews & Comments on all things kit wise. Split up into its various subcatagories. Just click the Title links to follow them. SiG552 review: the webs No.1 ICS SiG 552 Commando review. MagPul PTS Masada ACR: Scuffers gets an exclusive 1st look at this amazing AEG. Umarex's excellent HK417D with real steel trades gets a once over review and a video showing it in action. The NEW bfg on the block the VTG gets a first look and review - the Versatile Training Grenade is bound to create a BIG Bang on the airsoft scene. Another BFGX joins the stable a BFGX-M84 and sibling BFGX-M84X - this one has a surprise in store! 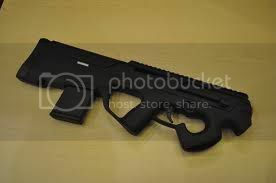 The original 'Spray & Pray' weapon on choice gets reviewed the ASG MAC-10 AEP. Another Umarex weapon this time a pistol with all the HK trades the HK.45 gbb pistol is review see what I thought about it! ASG's Bersa BP9CC license is covered - a CO2 pistol to add to the pistol case. Xpower's CO2 powered M18 Mine - better known as 'Claymore' - packing some serious heat! Umarex's M27 IAR - a quality bit of kit in the bag! OhShiBOOM the new impact BFG about town gets a review on the blog. Already on its first update - OhShiboom gets a new look! More Gunfire reviews with the Specna Arms SA-A07 Carbine - budget price but great AEG. 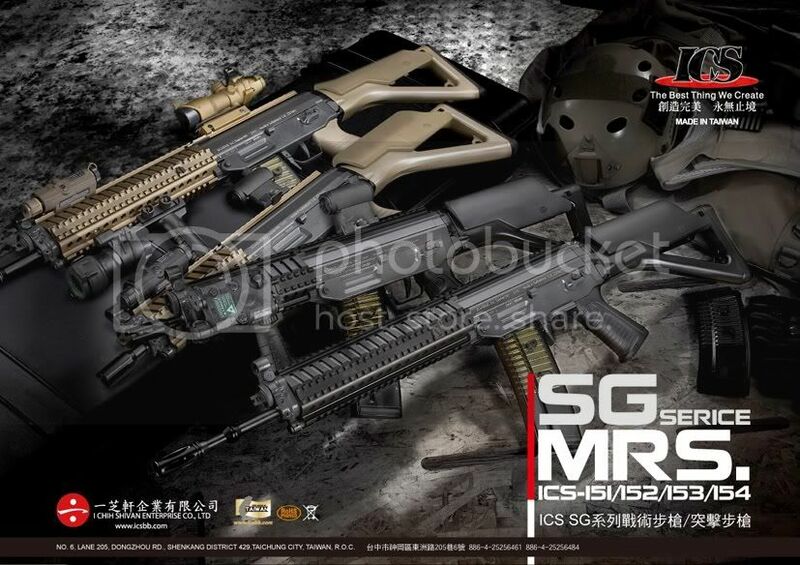 BOY this kits getting heavy now! Kit and more kit, you can never have too much when airsofting! Check-out the Viper LA SF vest review - recommended as the number 1 choice for new airsofters looking for their 1st tactical vest option. A review of the Special Forces favorite, Oakley SI Assault Gloves. and of course the great 'Bitter End' Wiley SG1 steel stamped goggles. Need a bag for the kit you can also find a review for the Helikon Camogrom Utility/ EOD pouch. And not forgetting some protection from the rain with the Helikon Camogrom Lv5 Soft Shell Jacket. A review of the HeroShark Mesh half face and Stamped Steel Goggles. Reviewing yet more great Helikon gear with the TCU Shirt & SFU Trousers. Cheaper BFG Blanks checked out! Also Helikon Patriot Fleece and Field Parka to keep you warm whilst skirmishing. Checkout the innovation and great idea that is ITW's FastMag concept and a review of Military1st's Flyye Industries pouches. Yosser puts the BritkitUSA PVC morale patches under scrutiny, and just take a look at the Combo LASER & CREE LED Torch from FlashlightHeaven, great kit for those short on weight and space requirements. Helikons newest addition to their Tactical Urban Range - The Delta Jacket gets closer examination. More BritkitUSA morale patches this time WOVEN & EMBROIDERED patches get the once over. I just love my Helikon Gunfighter jacket - does it show in this review do you think? 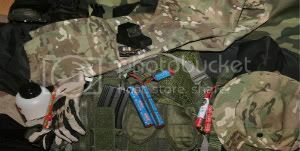 Military1st.co.uk have some great Flyye Industries kit check out the WSH Chest Rig or Weesatch in this section. 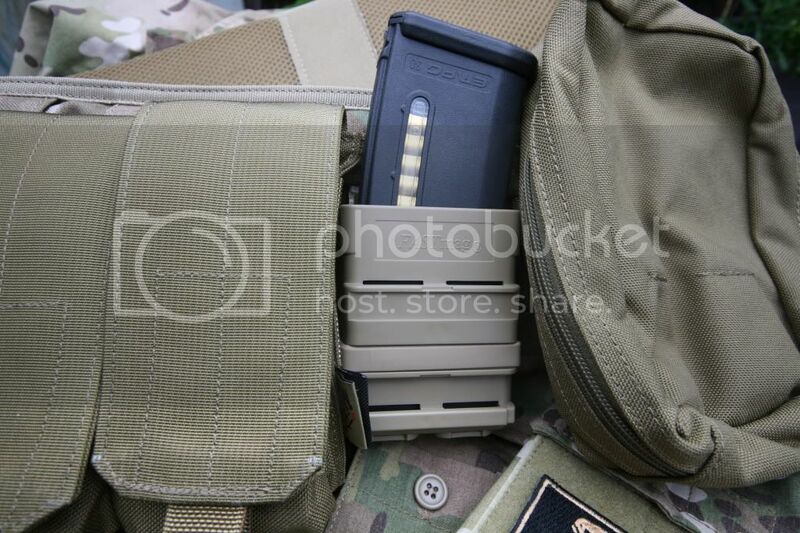 Want to travel light - sniper or quick strike consider the ARMA Husk Bandolier as a great alternative to belt kit. Need ATACS name tapes and other tapes - great kit from the USA! Aegis Arc Eyeshields - essential kit for eyes! Not only eyes need protection but reporting kit does as well - check out the travel cases for Apple, Android & Kindle from Intelligent Armour in fashionable Crye Multicam. 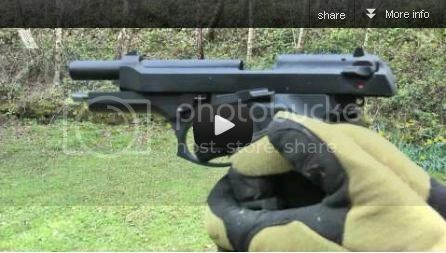 ASG's ROTEX-III suppressor gets a close examination by the blog. A look at Helikons UTP - Urban Tactical Pants - fit for the urban jungle! Hydration is a MUST so the Source® WXP Hydrations System gets a run through and proves to be an invaluable bit of kit to add onto the rosta. 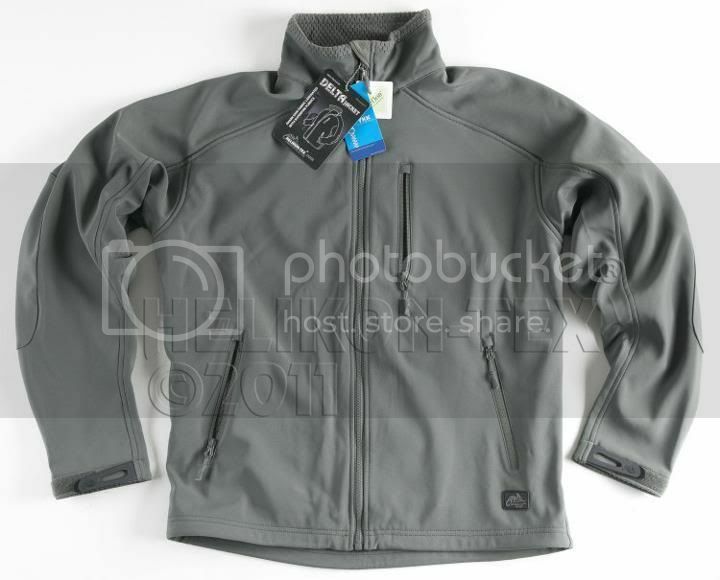 Helikon do it again and come up with another hit with the Trooper Soft Shell Jacket. Revisited and UPDATED the Helikon Camogrom Soft Shell - does it still hit the mark? 'Day of the Jackal' the latest system from Helikon's soft shell line up is reviewed. A first for the blog a TARGET system by G&G. The Multifunctional Electronic Target system gets throughly checked out. Warm gloves are essential in this cold weather AND these 5.11 Praetorian2 Gloves are great for airsofters too! More great Helikon Kit reviewed! Check out the newly released Helikon PCS Smock in MP Camo - Brit Kit look-a-like! Chalk targets by Tarian Marks reviewed and being shot at - PLUS hold your trousers up by SAG and new brand with pouches and MORE from them. SAGear's belts - essential for 'keeping them up' - your trousers that is! 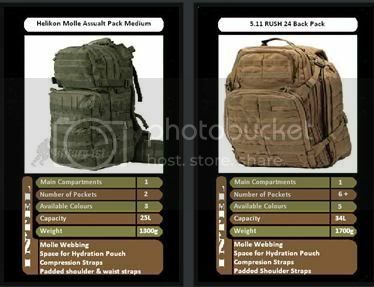 Hazard4 Plan B Escape Sling Pack checked out by Yosser - should the zombies arrive! Rapid Wraps by US Night Vision Corp's a great way to keep those Magazines lookin good! Lookin good in a TactiTEE - a tactical touch on the classic T-shirt! And if you need trousers check out the Leo Köhler Combat Trousers Review - quality German engineering. GBB?- Try WE Nuprol gas - we check it out, and see if it's worth your dosh! Let's not forget comms - but don't bother with the Z-Tactical LIH Bone Conductor headset reviewed here! Get GAS get SMART GAS - checked out on the blog. Trying the PMC load out a mix of kit in this feature including some fabulous 5.11 trousers. and of course SWAT urban @ Saighton nr Chester (sadly no more - see the SWAT section for more details on skirmishes past). Also a visit to the home of Delta Team3 based Nr Skem - Lancs. 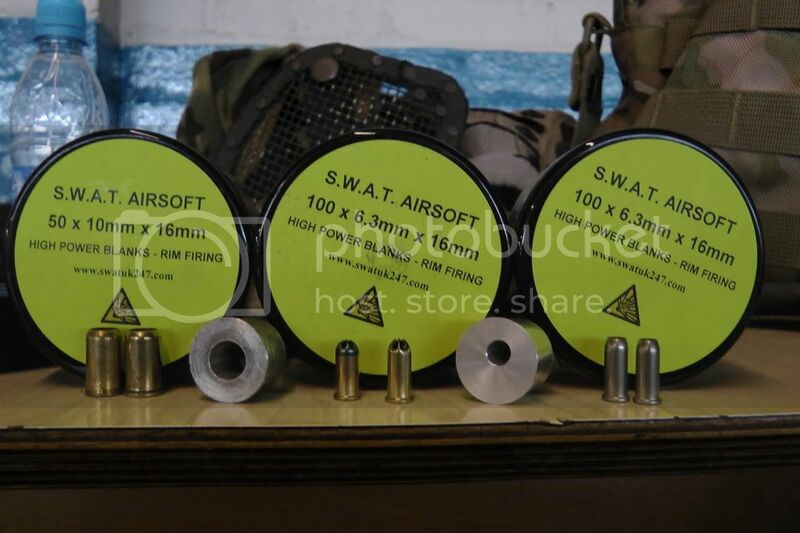 CQB 'Pot Factory' from Gunman NW - reviewed by a great friend of the blog - Buddy. MadBadger check out DropZone Airsoft site - exclusive! See the newest (and only, so far) airsoft shop review based in the North West and Airsoft Odyssey takes a trip the the UK's own Airsoft Arms Fair. 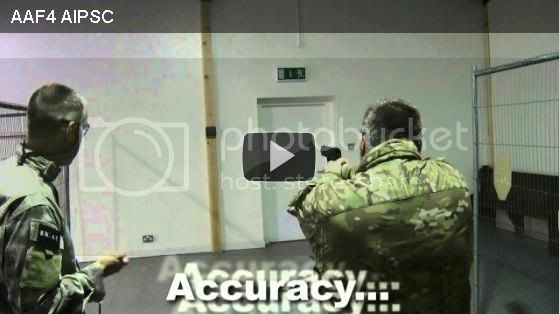 See what went on at the 2nd Airsoft Arms Fair - reviewed in this section as well. And found a great NW web retailer Military1st, see what I thought of them! And airsofts 3rd AAF at Balsall Common, West Midlands! NWACSS -Swap & Shoot LIVE - Airsoft Odyssey was there and checks it out. 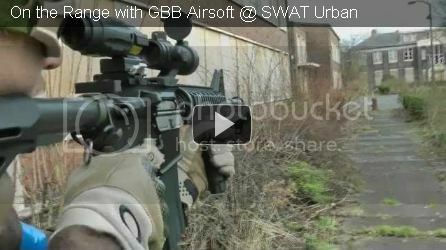 AAF6 - video, pictures and review, from Airsoft Odyssey ever present. AAF7 - it comes arou d so quickly - but shouldn't be missed! Manufacturers, dealers, & retailers wishing to have equipmet reviewed should contact me via the About page. Donations to help continue the 'Good Work' can also be made here.